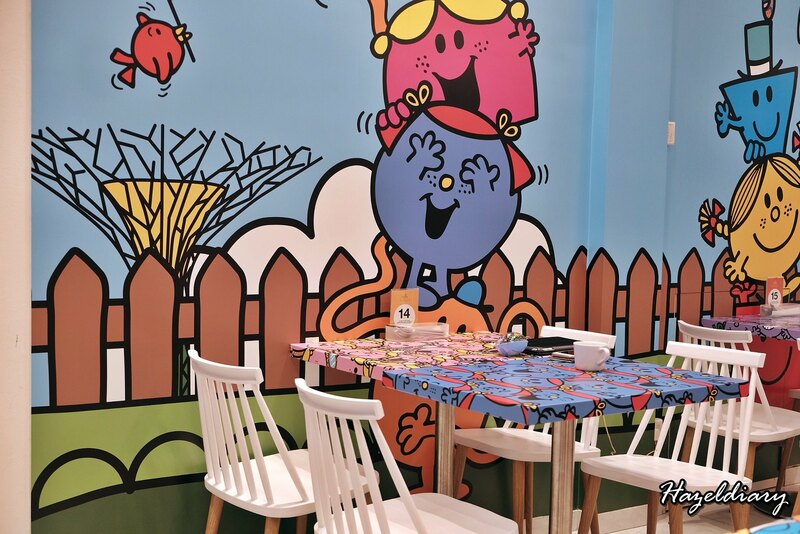 Kumoya is back with new theme and this time they have Mr. Men and Little Miss. Anyone shares the same childhood memories as mine? 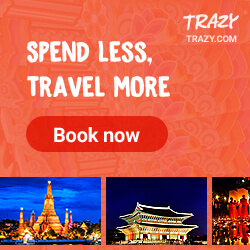 These cool British characters venturing out from Misterland to visit Singapore. 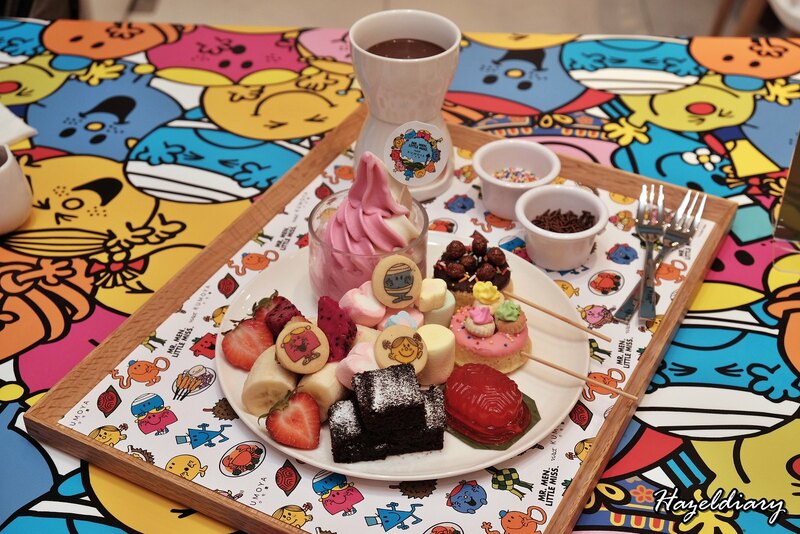 Kumoya will be the first fully fledged Mr. Men Little Miss pop-up café in Singapore. This NEW theme will be available from 5 July 2018 to end September 2018. 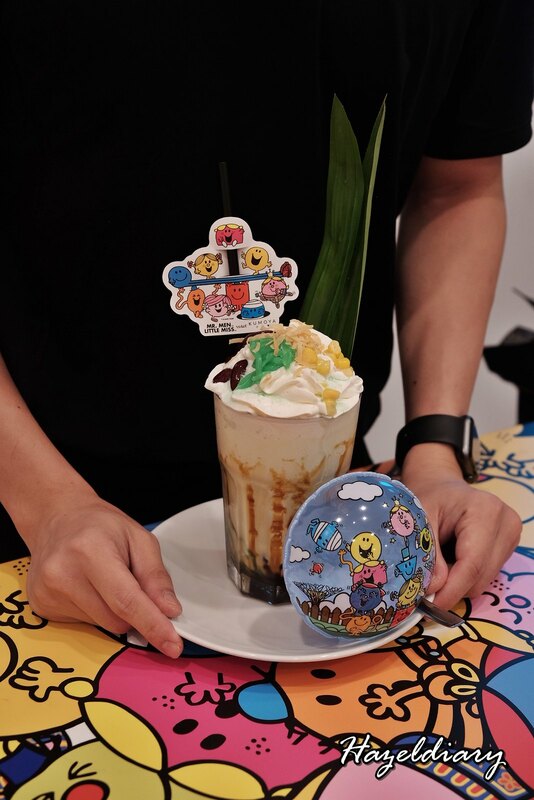 The menu will feature locally-inspired Mr. Men and Little Miss mains, desserts and beverages-all customized for Singapore’s taste. 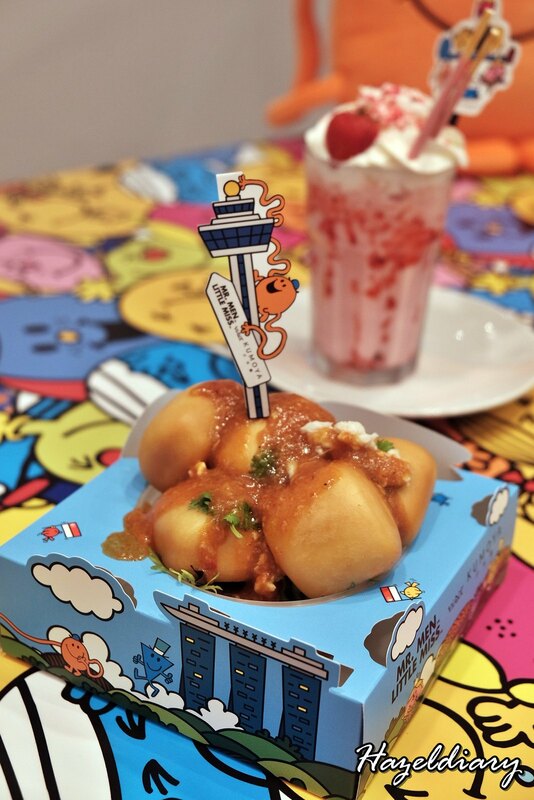 And of course the menu is specially crated in joint collaboration with Little Miss Bento (Shirley Wong). My favourite snack that I had more than 3 pieces at one go. I would recommend to order this to try! 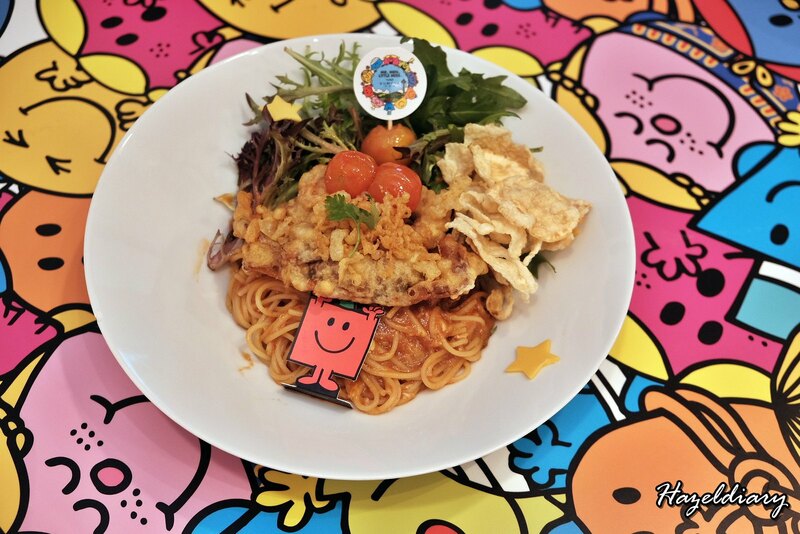 Chili crab lovers can check out this pasta dish with crunchy tempura softshell crab, fresh garden salad, tomato confit, keropok and cute cheese stars as decoration. 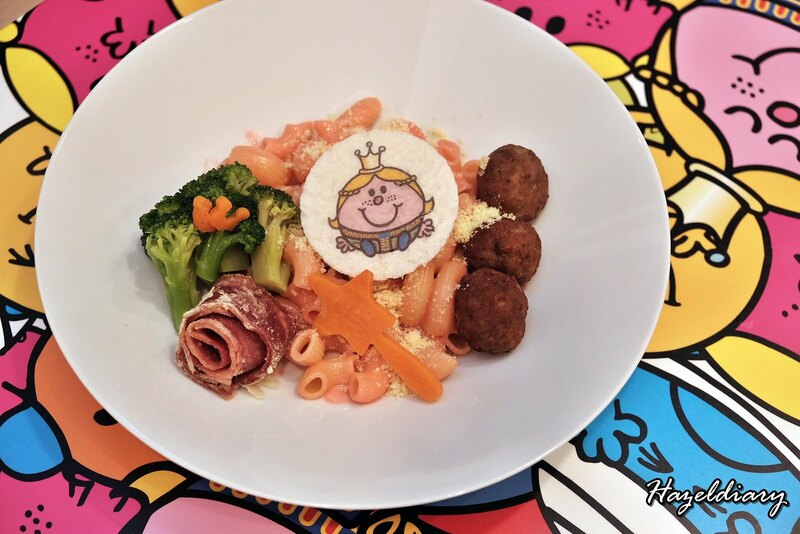 Pink lovers would go for this pink beetroot macaroni pasta served with beef meatballs, crispy turkey bacon and steamed broccoli and complete with cute carrot crown and princess. It is like a healthy dish with light taste in general. 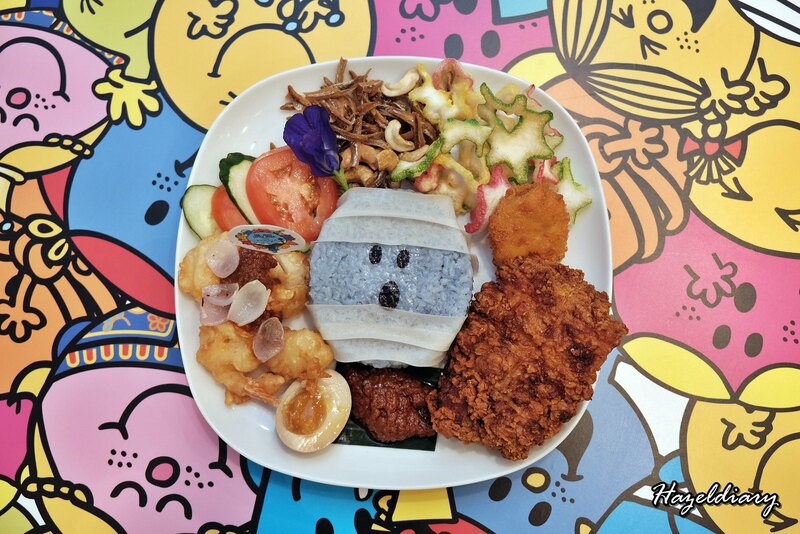 Such a cutie Mr Bump Knock-out made with fluffy fragrant butterfly pea flower coconut rice and ‘bandaged” with popiah skin, tempura sambal prawns, crispy golden fried chicken, crunchy walnut and anchovies. There are also keropok, potato croquette and ramen egg to complete the dish. I must say the crispy golden fried chicken tasted crunchy and tasty. Perhaps too much of rice but in order to achieve Mr Bump character in shape, it is unavoidable though. 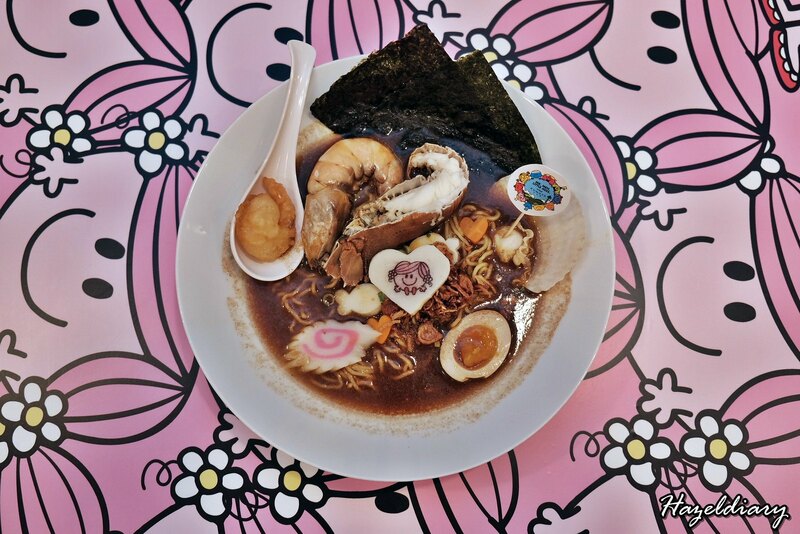 The potent broth served with crayfish, steamed prawns, scallops, tempura prawns, ramen egg and spring onions and shallots garnishing. Special double swirl Strawberry Hokkaido soft serve with cute Little Miss Princess cookie, Bandung pudding, strawberry sponge cake, fresh berries, strawberry chocolate coated cereal crunch, fresh cream and berries sauce. 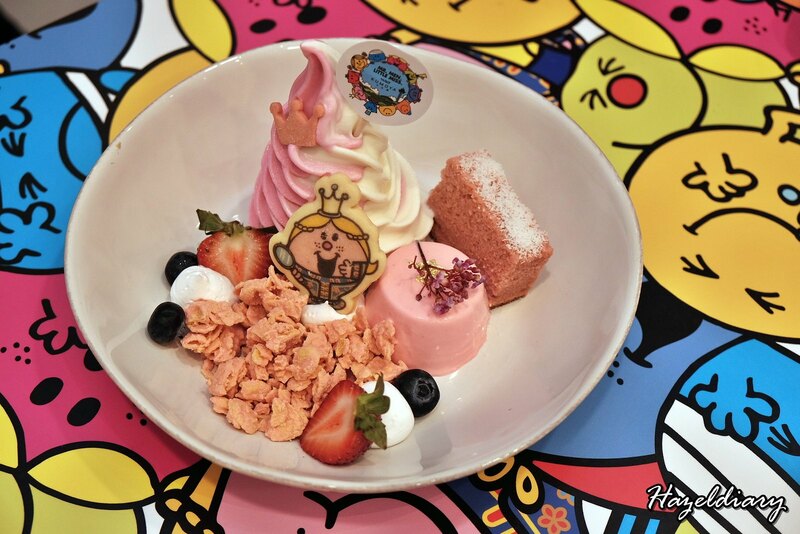 The dessert served with soft serve, fresh berries, dragon fruits and bananas, homemade Milo brownies, cute donut cake, marshmallow with local agar agar ang ku kueh, magic sprinkles and chocolate dip. Oh ya… the tray liner is a limited-edition which you can bring back if you order this. Pandan sponge cake with Gula Melaka frosting complete with ‘bandages” with soft serve as side, nata de coco, kidney beans, sweet corn, magic stars cotton candy and Gula Melaka shot. 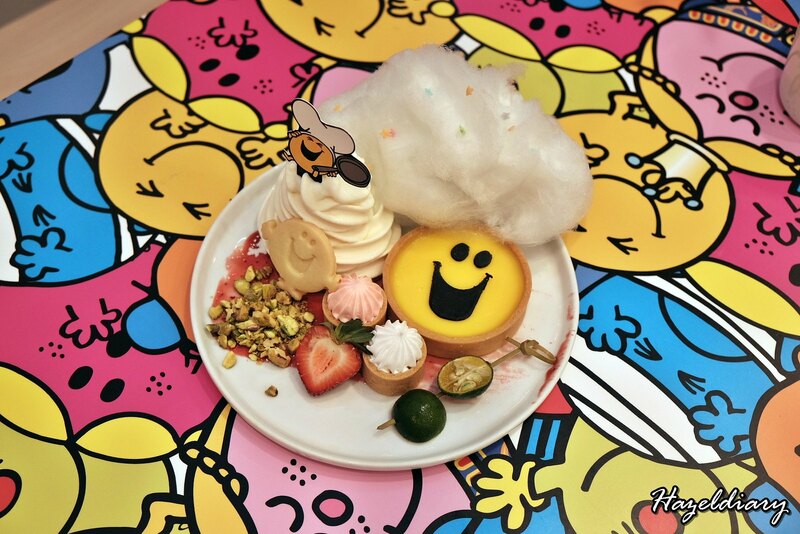 Sweet Mr Happy Calamansi tart served with Hokkaido soft serve, fresh cream, old-school gems tartlets, strawberries, pistachio bites, Mr Happy cookie and cotton candy. This was our favourite drink of the night. Local chendol complete with whipped cream and garnished with pandan leaves. Rekindle your memories with these cute characters here at Kumoya. I personally feel that the locally-inspired food theme this time tasted more enjoyable than before. 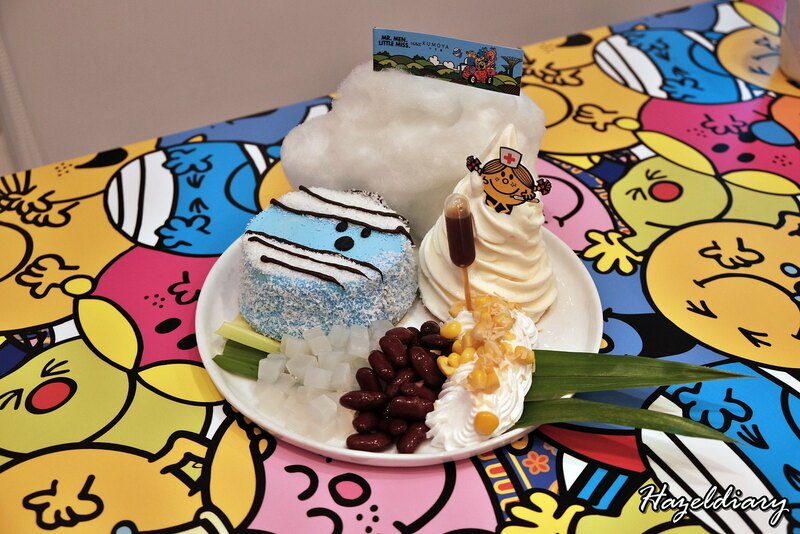 It is superb creative to combine the cute characters with local food. 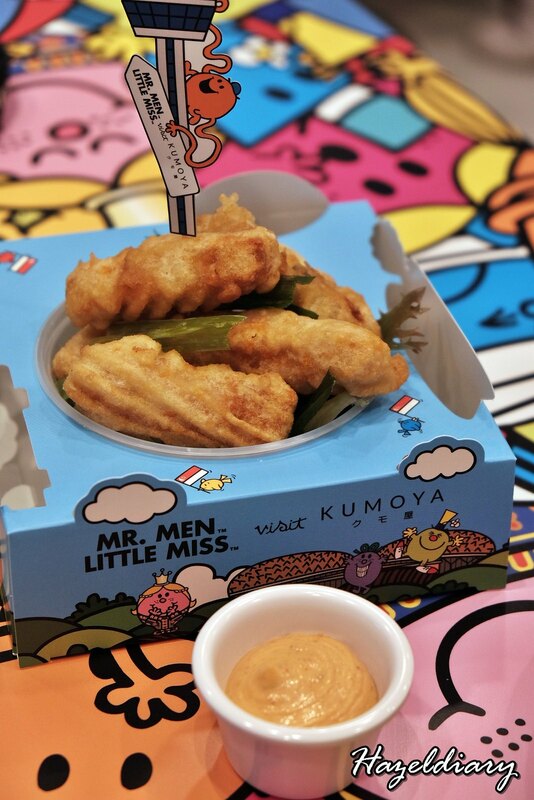 Big kudos to Little Miss Bento aka Shirley & Kumoya for such innovative ideas. No reservations are allowed. Walk-ins only.